Daniel directs Water Commons, a global initiative to help water operators protect water at the source. In cooperation with the UN Habitat agency, the Global Water Operators Partnership Alliance (GWOPA), he works with Latin American and Caribbean water utilities to protect their watersheds. 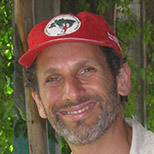 Daniel is also the executive director of the AgroEcology Fund and a trainer for the Equitable Food Initiative. He holds a Masters Degree in International Development and Regional Planning from MIT and lives in Jamaica Plain, Massachusetts with his family. He publishes on water and food themes in National Geographic, Huffington Post, Earth Island Journal and other media.